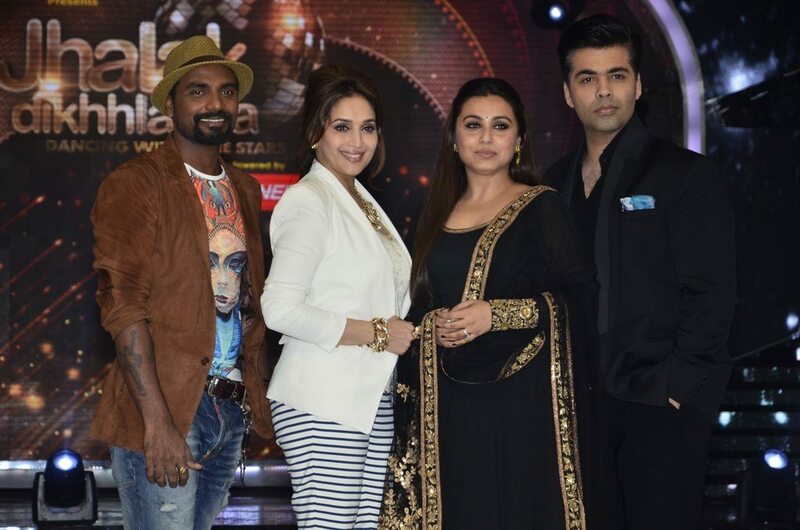 Mardaani promotions on dance reality show Jhalak Dikhhla Jaa. 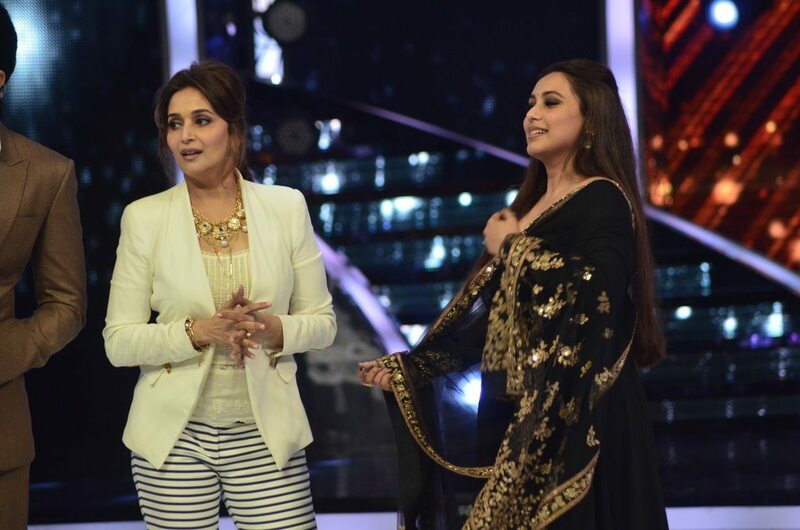 Bollywood’s newly wed Rani Mukherjee looked dazzling as she appeared on the sets of the dance reality show ‘Jhalak Dikhhla Jaa’ to promote her upcoming movie ‘Mardaani’, in Mumbai on July 22, 2014. The ‘Talaash’ actress looked drop dead gorgeous in a black and gold floor length anarkali. 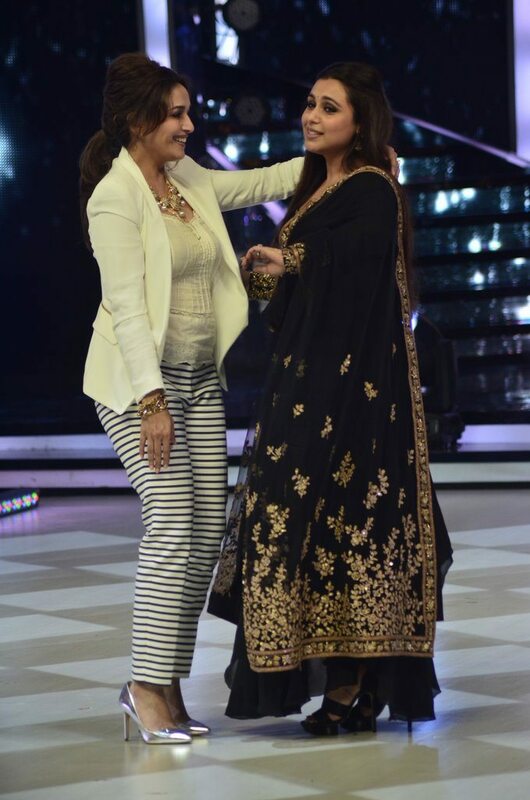 Actress Madhuri Dixit – who is also a judge on the show – had a great time with Rani, the two even danced together on stage. ‘Mardaani’ will be Rani’s first film post her marriage to Yash Raj Films honcho Aditya Chopra. Rani will take on the role of a fierce Crime Branch inspector – Shivani Shivaji Roy – who takes on the child trafficking mafia in the country. The movie is directed by Pradeep Sarkar and is a touted to be a heroine-centric film. ‘Mardaani’ is all set to hit the theaters on August 22, 2014.